Vatican is the smallest country in the world, both in size and the population. It’s also one of the richest in a cultural sense as some of the world’s most celebrated works are located here. The Vatican City is home to the St. Peter’s basilica and the Vatican Museums – the most famous attractions of the country. However, the vicinity of Vatican is the best stationary option. I recommend Borgo Pio neighborhood which is the closest to the Vatican and has great dining options. 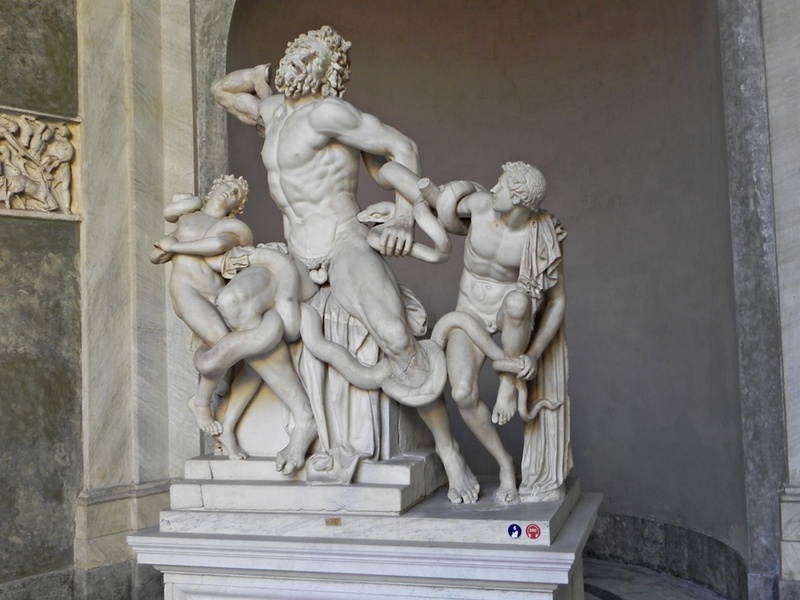 As a first time visitor you will need around 4-5 hours to explore the Vatican Museums. 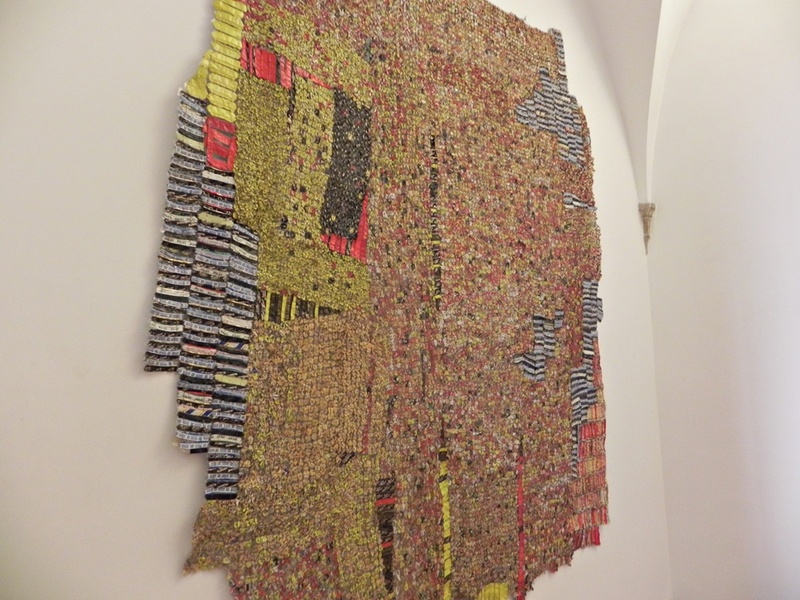 They are home to some of the world’s best art collections and your visit will surely be unforgettable. Come in the morning (around 9am is the best) as crowds are the worst between 11am to 2pm. 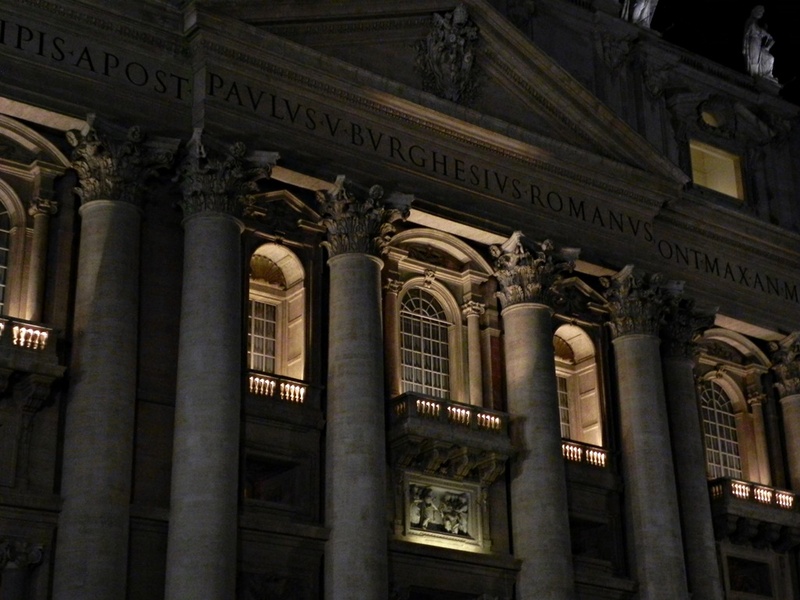 If you decide to join a tour group you can pass directly from the Sistine Chapel through to the St. Peter’s Basilica. This is not possible if you are an individual visitor so you’ll have to approach the basilica from the St. Peter’s Square. Don’t buy tickets offered to you outside the Vatican Museums. Many of these guides are not authorized and they sell tickets that are more expensive than the museum’s official tickets. Book your ticket online to avoid the waiting lines. The reservation fee for online booking is 4 EUR but that’s nothing considering that many people wait 2-3 hours to enter. I’ve bought an online ticket and the whole process took just 10 minutes. The security will scan your ticket and you’re ready to go. Just don’t forget to print your email confirmation. The full price ticket is 16 EUR and the reduced one is 8 EUR. Reduced price is for students up to 25 years old. Admission is free on last Sunday of month. Arrive early, around 9am is good time. Come with a guide. Vatican is crowded with tourists and some exhibitions are not very well labeled. I’ve used Lonely Planet’s Rome guide but you can also buy a guide at Vatican’s official shops as few are spread over the museum. You can also visit the Vatican gardens but you will need to join a guided tour. The center of Catholic world this church is one of the most grandiose in Italy. 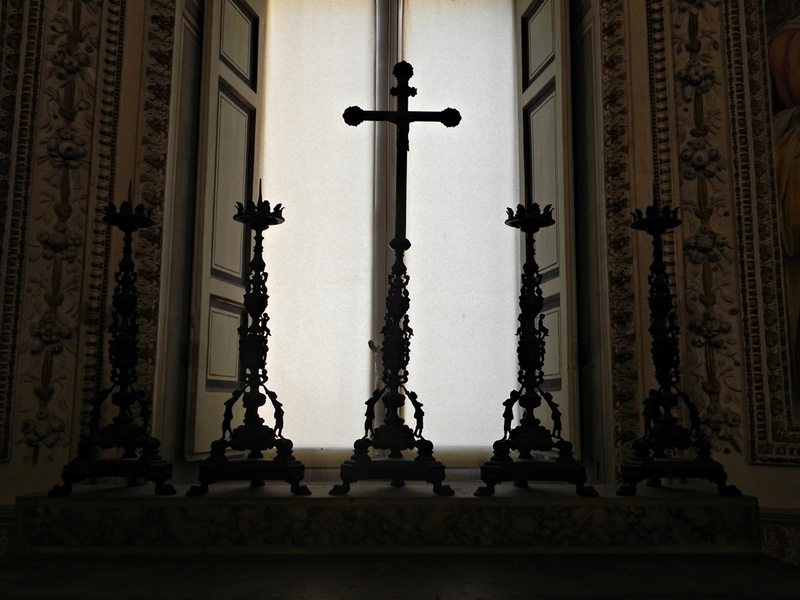 It also displays some magnificent works of art such as Pieta by Michelangelo and Bernini’s baldachin. 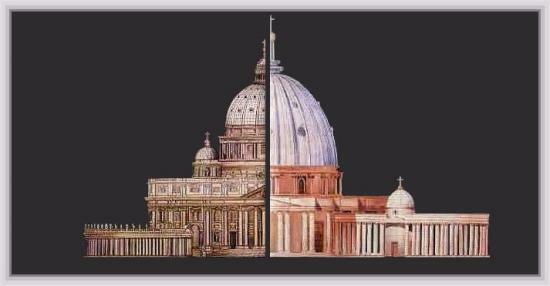 The original basilica was located beneath the current one and commissioned by the emperor Constantine in 349. You can climb the dome and enjoy the stunning rooftop views of Rome. Vatican Grottoes (a burial place for popes) can also be visited for free and they are located beneath the basilica. And here’s an interesting fact… Did you know that the world’s largest church is not the St. Peter’s Basilica but the Basilica of Our Lady of Peace in Yamoussoukro in the Ivory Coast? Take a look at how they compare. 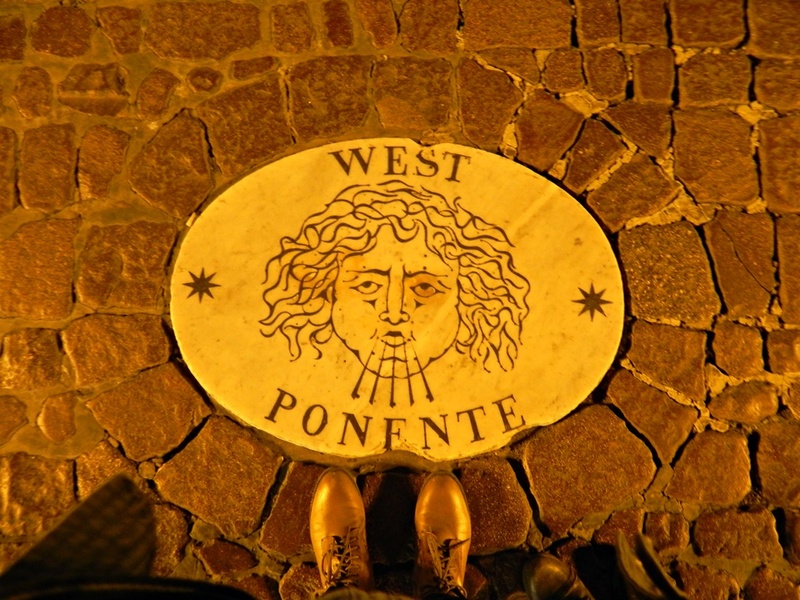 West Ponente is relief by Bernini also known as the Breath of God. 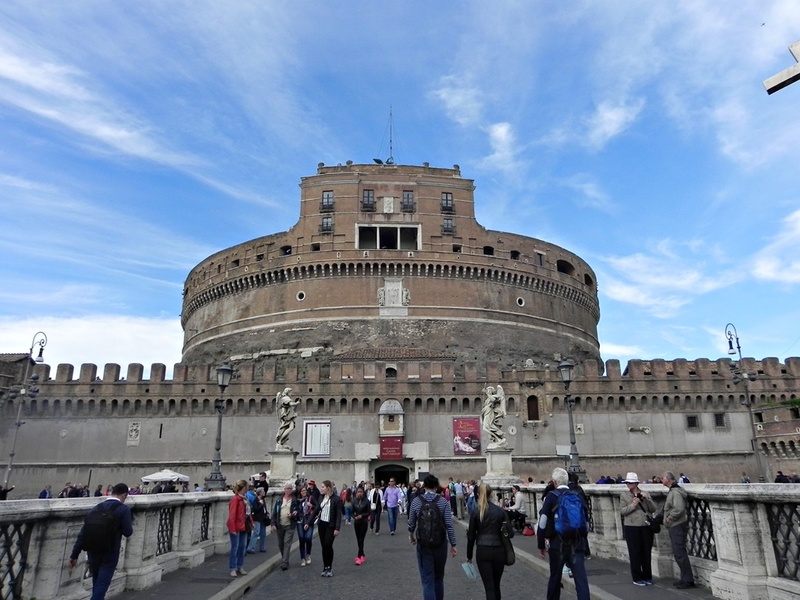 This fortress was built as the mausoleum for the Hadrian’s family but in the 6th century it was converted into papal fortress. Today it serves as a museum and has a collection of paintings, sculpture and military weapons. You can get to the top of the castle that offers great views over Rome. 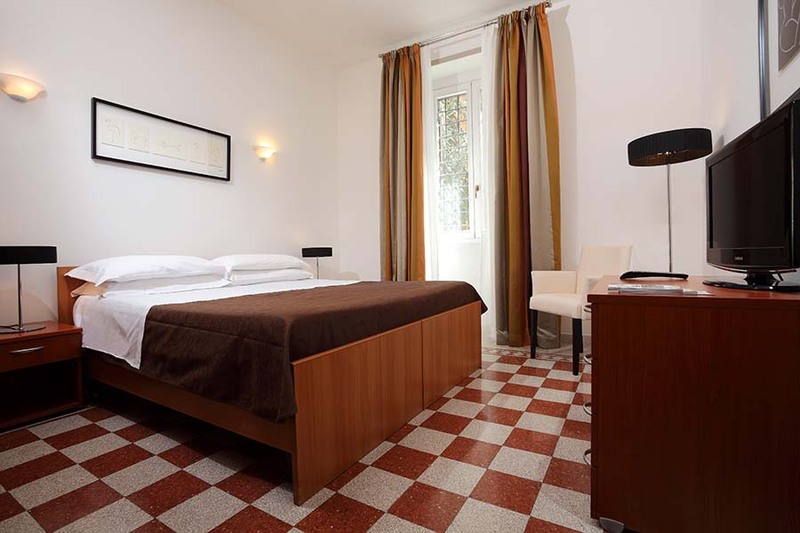 I’ve stayed in the Trianon Borgo Pio apartments which are located in the Borgo Pio neighborhood – the one closest to the Vatican. 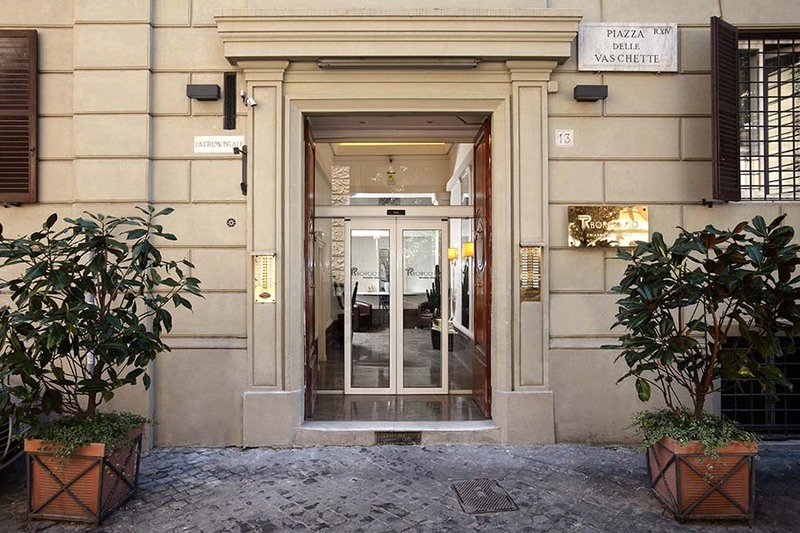 It’s just a five minutes walk from the Vatican Museums and the St. Peter’s basilica. It’s also on the metro line so the location is wonderful. 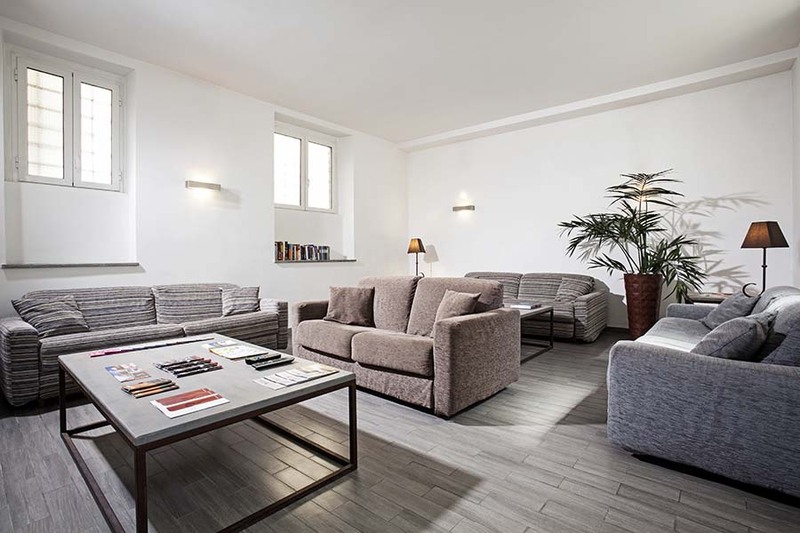 Trianon Borgo Pio has 45 comfortable apartments tailored to meet the needs and budget of every traveler. 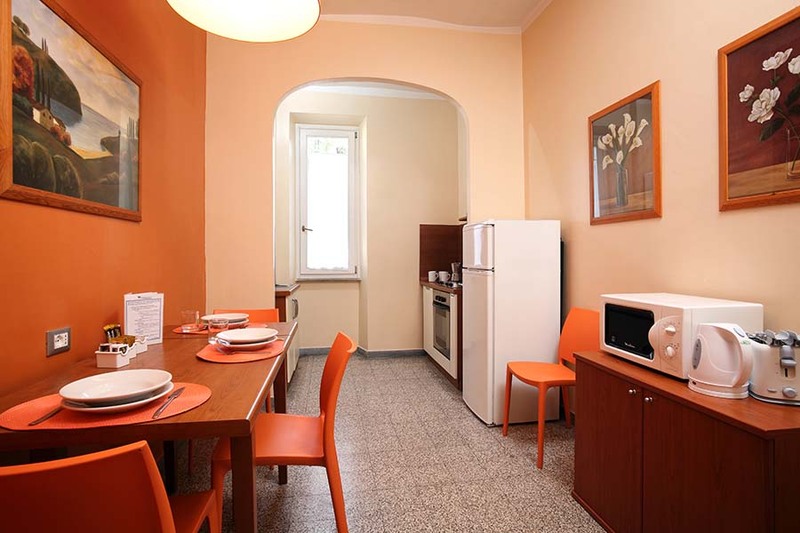 They have studio and 1-bedroom apartments if you are on a budget but deluxe apartments as well. You can take a look at their full offer. The rooms are beautiful and spacious and the kitchen is well equipped so you can prepare delicious meals after busy time spent sightseeing. There’s a microwave, kettle, fridge, oven and other appliances. Rooms also have WiFi which is very important to me. 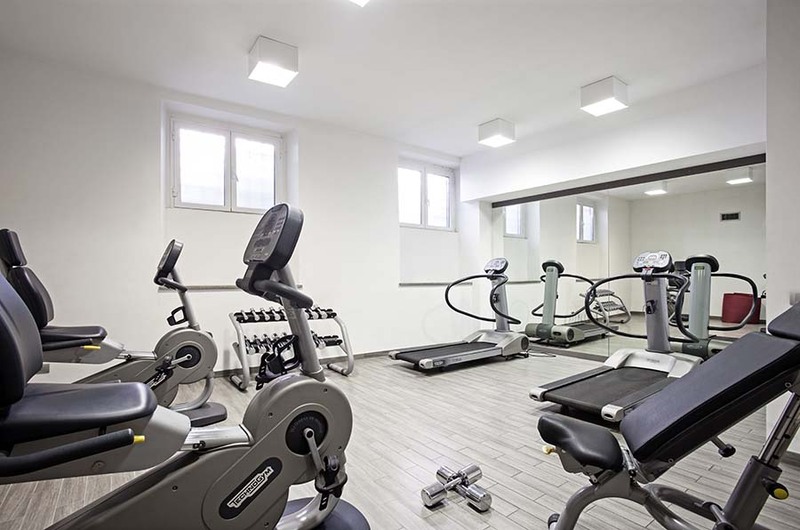 Trianon Borgo Pio also offers a living room, internet room, library and fitness gym! Laundry service is also available and the building has two elevators. It’s almost like a hotel. Hosts are amazing and always ready to help! You can ask them anything and the luggage room is always available for guests. With such close location to the Vatican, modern equipment and great hosts I genuinely recommend this facility if you plan to station yourself nearby Vatican. 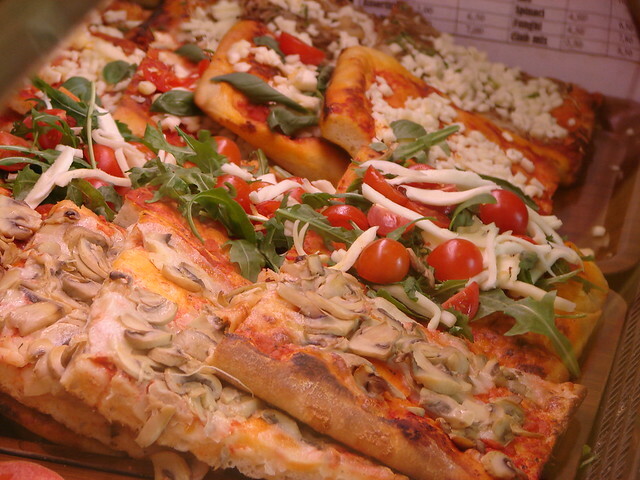 If you are on a budget Borgo has excellent takeaways and you can always opt for a pizza by the slice and gelato. There are also plenty of restaurants in the area to eat. Vatican Museums also has several cafes as well. The one that’s before the entrance to the Sistine Chapel has a good selection of sandwiches, desserts and coffee. It’s a great stop to make before entering the Sistine Chapel. The area around Vatican is quiet and you won’t find many interesting bars or clubs so better head to Trastevere area. However one of Italy’s best jazz bars is located in Prati area around Vatican and it’s called Alexanderplatz. In general there are a lot of excellent shops and restaurants here, but it’s not the best area for nightlife. Rome only has two metro lines and buses are more often your best bet for moving around. If you decide to use metro you’ll need A line which goes to Ottaviano-San Pietro station. Bus 40 is the best option if you’re going to Vatican from Termini station. Don’t forget to check out EuroTribe’s travel guide to the Ancient Rome neighborhood and the travel guide to Trastevere area. Do you have any travel tips for the Vatican area? Feel free to comment below.